Rescue teams worked Sunday to reopen roads to remote communities in Dominica after Tropical Storm Erika caused flooding and mudslides that killed at least 20 people and left more than 50 missing on the Caribbean island. Officials evacuated the first 109 of roughly 1,000 people ordered out of the town of Petite-Savanne because of fears of new landslides, said Don Corritte, director of the office of disaster management. Evacuations were carried out by boat because of damage to roads and bridges. Prime Minister Roosevelt Skerrit said that all of the residents of the town in the country's southeast would be evacuated on Monday. He declared disaster status for nine local areas. Skerrit said that extent of the devastation was "monumental." "Access by road to these communities is impossible," he said. These towns "are cut off from the rest of the country." 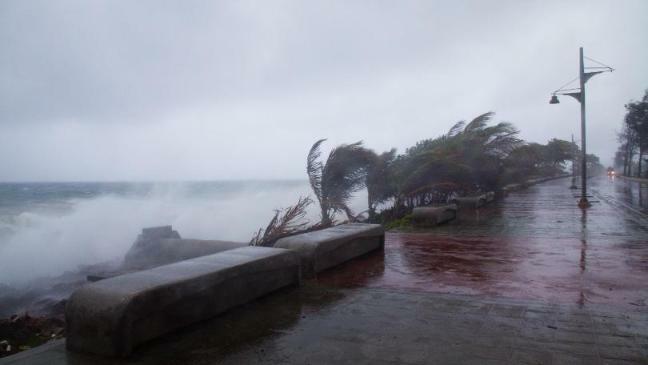 Erika whipped the island for more than five hours on Wednesday, bringing strong winds and intense rain that provoked flooding and landslides. Hundreds of homes were destroyed. Crews were using heavy equipment sent by the governments of Venezuela, Martinique and Guadalupe. Hundreds of men worked to reopen the country's main airport, where mud and debris impeded operations, Skerrit said. 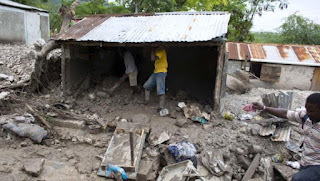 Skerrit appealed for international aid and estimated that damage from the storm could set the country's development back two decades. In Haiti, the storm killed at least one person in a suspected landslide. Four others died when a truck hit a bus during the downpour.